The Resident Evil franchise has joined the growing ranks of long-running multimedia properties branching out into television, as part of an ambitious push by Germany-based production company Constantin that also includes series based on The Mortal Instruments and Perfume. 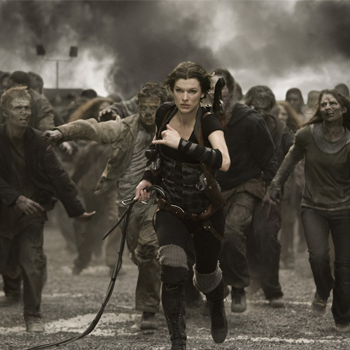 The series is planned to go into production following completion of the next feature film in the franchise, Resident Evil: The Final Chapter. The film is intended to be the final outing for director/producer Paul W.S. Anderson and actress Milla Jovovich, the husband and wife team who have been the cinematic shepherds of the franchise for over a decade. It is not known whether the series will continue any of the story threads begun in the films or the original games, nor if Anderson and Jovovich plan to be involved in the production. Apart from the feature films, Resident Evil has been previously adapted into comics, novels and animated features.